Lynda L. Weatherman is the President & CEO of the Economic Development Commission of Florida’s Space Coast. She administers all operations and provides strategic direction to an organization responsible for a $2 million budget within a 1,557 square mile area that is the Palm Bay-Melbourne-Titusville MSA. Ms. Weatherman, a Florida native, earned a Bachelor of Arts in Social Sciences/Education from the University of South Florida and a Masters in Economic Development from the University of Southern Mississippi. Her work in economic development resulted in winning a Rotarian Fellowship to the University of Hong Kong where, in 1990, she completed a second Master’s degree in International and Urban Planning. While beginning her career as a teacher, Ms. Weatherman has held leadership posts with the Florida Department of Commerce’s Bureau of Economic Analysis, Gainesville Chamber of Commerce, and Marion County Economic Development Agency. In 2007, Ms. Weatherman was honored with the NASA Distinguished Public Service Medal, the highest honor NASA awards to both government and non-government employees. Starting in 2009, Ms. Weatherman as a member of the Board of Directors of the Federal Reserve Bank of Atlanta’s Jacksonville Branch, where she presided as Chair in 2011 and again in 2014. In 2010, Ms. Weatherman was appointed to then Governor-elect Rick Scott’s Economic Development Transition Team, tasked with identifying innovative ideas from the private sector, success stories from other states, cost-saving opportunities and legislative priorities to assist the then-Governor-elect. That same year, Ms. Weatherman was selected to be a member of the Air Force Chief of Staff Civic Leader Program, serving as an advisor, key communicator, and advocate for the Air Force and providing ideas and feedback to the Secretary of the Air Force and Air Force Chief of Staff. In 2011, the EDC was awarded the Florida Economic Development Council’s “Deal of the Year” award for its work in the AAR recruitment project. The Council also awarded Ms. Weatherman its 2011 "Professional of the Year," recognizing excellence among economic development practitioners throughout Florida. Additionally in 2011 and 2012, the International Economic Development Council recognized the EDC with three “Excellence in Economic Development” awards. Ms. Weatherman has been involved with several organizations in various capacities, including the Florida High Tech Corridor Council Board of Directors and Marketing Committee, Webster University Space Coast Advisory Board, and the National Center for Simulation. She currently sits on the Board of Directors with the United Way of Brevard County, CareerSource Brevard, Central Florida Partnership. Ms. Weatherman is also involved with the Enterprise Florida Partner Council, the Southern Economic Development Council, and she is an active member of CivMil. 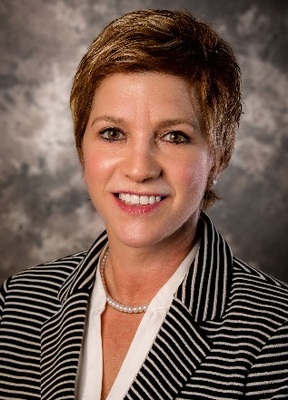 As President & CEO of the Economic Development Commission of Florida’s Space Coast since 1994, she is responsible for the attraction of new business and investment and retention of existing industry throughout the Space Coast. Ms. Weatherman’s role also includes influencing change on government laws and regulations affecting economic development, promoting the Space Coast to encourage new investment, assisting industry in new market entry, relaying new programs and procedures to assist manufacturing and high-tech companies, and supporting efforts of Space Coast military installations, which includes the retention of the Space Coast’s Naval Ordnance Test Unit through the reversal of a BRAC Commission decision. Under Ms. Weatherman’s leadership, the EDC’s recent accomplishments include $1.6B in capital investment resulting from the announcement of 49 business development projects over a seven-year period (FY 10/17), the attainment of the assembly and checkout of NASA’s Crew Exploration Vehicle, and facilitation of the first-ever Space Act agreement between Kennedy Space Center and an economic development organization. In the most recent year, the EDC successfully attracted OneWeb Satellites’ manufacturing facility, and secured all aspects of commercial spacecraft development and launch on the Space Coast with Blue Origin’s manufacturing and processing facility for its Orbital Launch Vehicle. Other recent accomplishments include the attraction of RUAG Space USA Inc., Red Canyon Engineering and Software Inc., and the expansion of Thales, and Lockheed Martin.